Availability: This product is discontinued and no longer available for purchase. For alternatives browse our V-fit department. The V-fit GS1 folding gravity strider helps trim and tone arms, shoulders, lower legs, thighs, hips and provides cardiovascular workout. 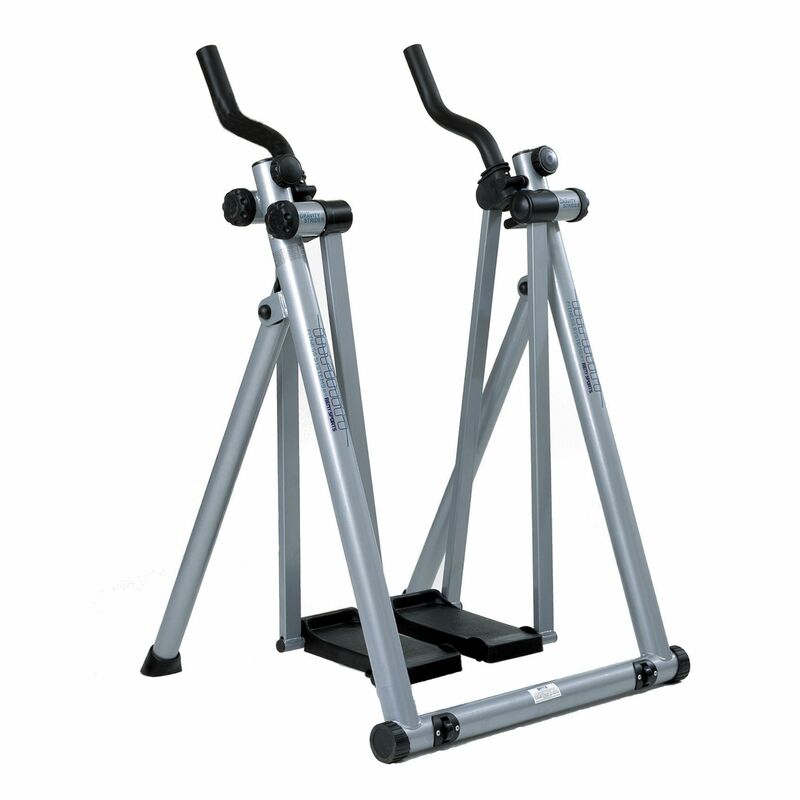 The machine has adjustable resistance system that ensures variable exercise. It has robust, steel main frame and support legs, and safety handles with high density foam padded grips. The 5- function monitor provides feedback on calories burnt, scan, strides, time and total strides modes. The machine is 75cm (29.5”) long, 78cm (30.7”) wide and 110cm (43.3”) high; the maximum user weight is 115kg (253lbs). This piece of gym equipment is 1st class!!!! One is physical gliding on air. Unlike jogging or running, there's no impact involved when one walks/strides. there fore the joints are not shocked. An absolute + for anyone who wants to exercise, tone the body without having to leave the comfort of one's home. for submitting product review about V-fit GS1 Folding Gravity Strider.